Finn Balor Teases Bullet Club Reunion on Raw (Photo), Lucha Underground Producer Partnering with Women of Wrestling, How Old is Curt Hawkins? 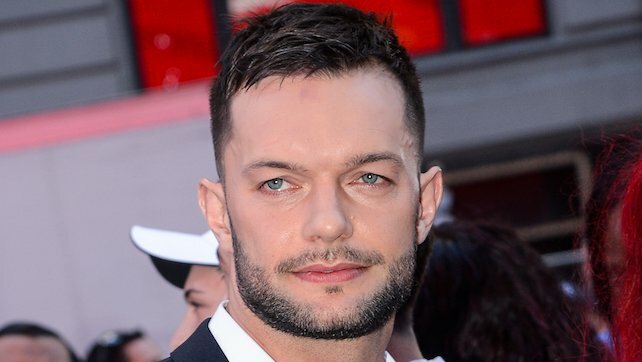 Home » Wrestling News » Finn Balor Teases Bullet Club Reunion on Raw (Photo), Lucha Underground Producer Partnering with Women of Wrestling, How Old is Curt Hawkins? How Old is Curt Hawkins? In today’s wrestler birthday news, WWE star Curt Hawkins turns 32, Garett Bischoff turns 33, and Johnny the Bull turns 40. Los Angeles, CA (April 20th, 2017) – Mark Burnett, MGM’s President, Television Group & Digital, and Jeanie Buss, Los Angeles Lakers Owner and President, announced a strategic partnership today to develop new content across a range of unscripted programming and digital formats for the popular WOW-Women Of Wrestling (WOW). MGM with its proven track record of building successful unscripted franchises (Survivor, Shark Tank, The Voice) will work with WOW and its troupe of WOW Superheroes – a diversified group of athletic over-the-top characters, villains and heroines that include the notorious tag team, Caged Heat, Delta Lotta Pain and Loca, The Governor’s Daughter, Abilene Maverick, The Dagger and newcomer, The Alpha Athlete, Adrenaline – as they begin production on their fifth season of the series. Emmy Award®- winning Burnett and his team of producers headed by President of Unscripted Programming for MGM Television, Barry Poznick, will work in tandem with WOW’s Founder and President, David McLane, the impresario behind the ’80s hit women’s wrestling television series, the Gorgeous Ladies Of Wrestling (GLOW), to create content for potential use across networks, digital platforms, cable and multicast networks. This is MGM Television’s third partnership in the sports arena with Lucha Underground in its third season and its previously announced partnership with the Drone Racing League.